Elegantly conceived and exceptionally designed, the range of concrete furniture available from Snap Concrete will enliven your décor. Whether you’re looking for indoor furniture at home or outdoor furniture for your café, our team of experts can custom craft pieces that reflect your individual style. 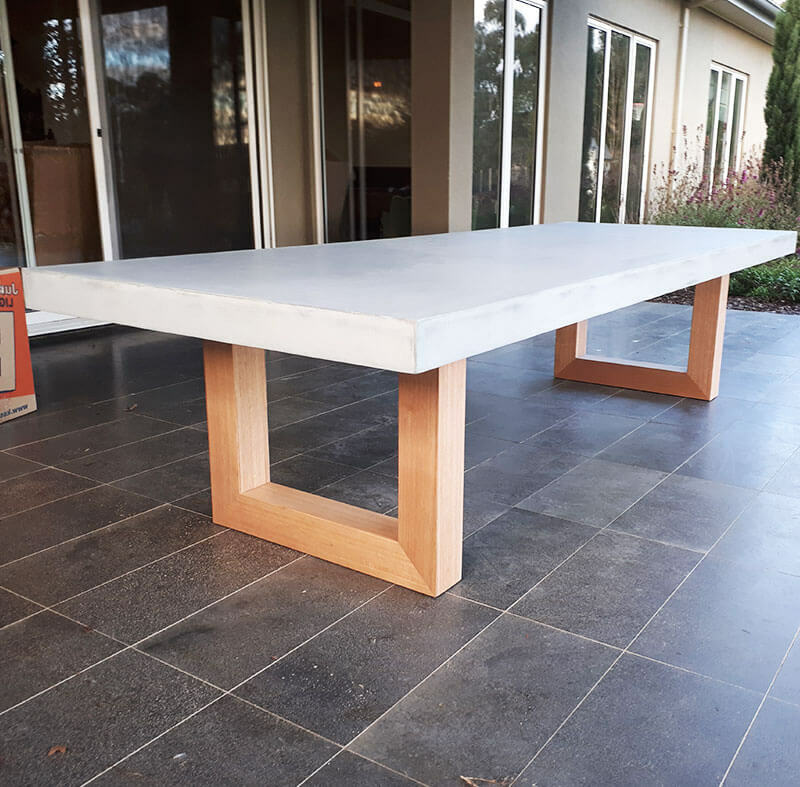 Working across Melbourne’s suburbs, Snap Concrete is the place to go if you’re looking for concrete furniture in Brighton. Catering for the bustling businesses and busy homes in Brighton, our team will work closely with you to transform your furniture vision from an idea into a reality. Are you dreaming of the ideal kitchen benchtop? Maybe you’re looking for a set of outdoor concrete tables. Brighton residents and business owners can rely on Snap Concrete for a custom solution, whatever their needs. 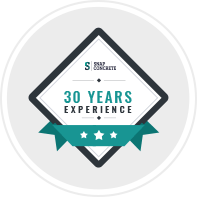 Better yet, Snap Concrete also offers seamless installation services, as well as delivery Australia-wide. From Brighton to Brisbane and Perth, we have you covered when it comes to iconic concrete furniture. Explore our range of products and services below or get in touch with our team to begin your journey towards better concrete furniture. 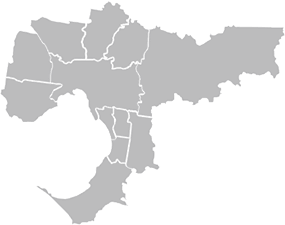 Give us a call today 0450 535 075 to find out exactly what we can do for you. 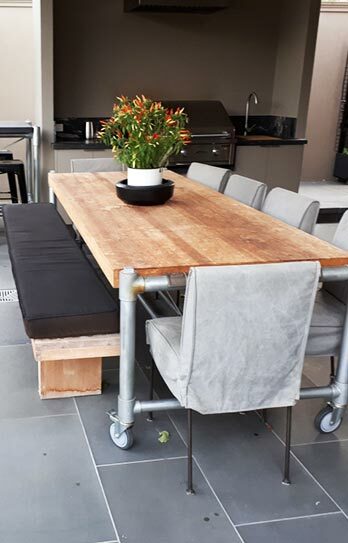 From polished concrete furniture to luxurious oak designs and complete outdoor barbeque sets, Snap Concrete has the products and services for you. Explore our great range below to see how we can reinvent your indoor and outdoor décor in Brighton! Outdoor kitchens & BBQ settings – no alfresco area is complete without a space for a BBQ! 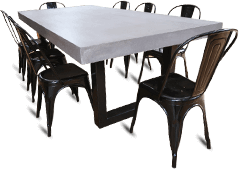 Concrete tables – the seamlessly designed concrete tables Brighton locals love! Custom built concrete furniture – a full range of glass fibre reinforced concrete products! At Snap Concrete, furniture is our passion. Contact us today for personalised, step-by-step advice and services.